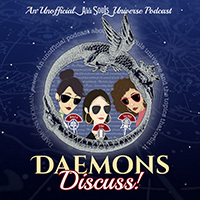 Daemons Domain - All Souls Trilogy & Universe Fan Site + Podcast: AMC & BBC America Premiere Giveaway! AMC & BBC America Premiere Giveaway! Join us as we squee over this series! 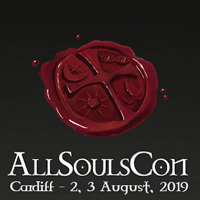 We are sooo excited to share our excitement over the TV adaptation of our very favorite book series, The All Souls Trilogy (named for book one of the trilogy, A Discovery of Witches)! If you are new to this whole TV show business, and have no clue about the big fuss we are making -- first of all, WHERE HAVE YOU BEEN?! 😆 That's OK, because if you didn't know, you know now! The TV show is having a second premiere in the US! 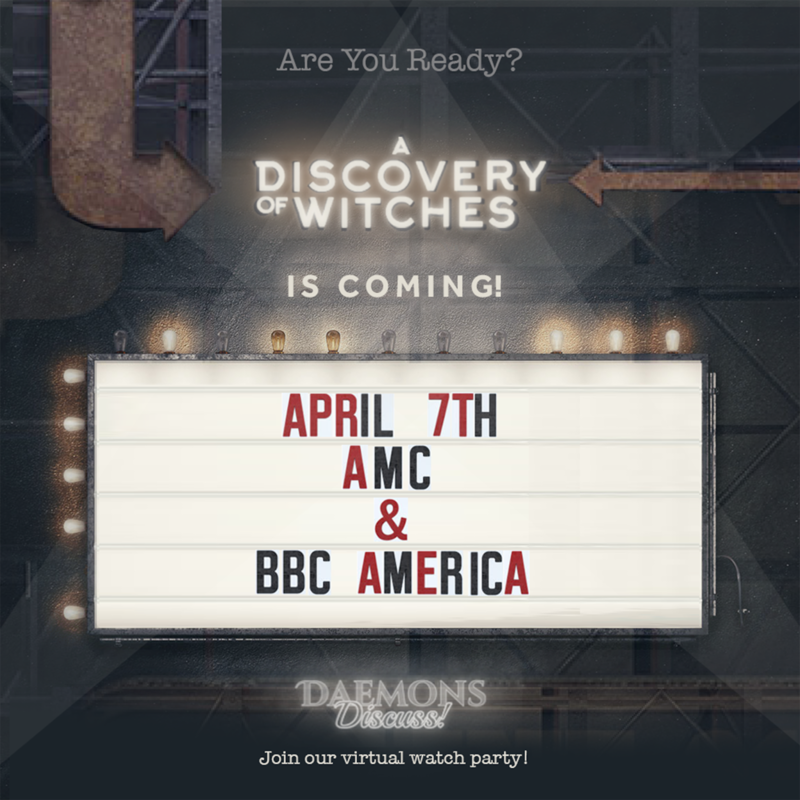 The show will be coming to AMC and BBC America starting April 7th 2019! As some of you know, we've covered each episode of the series on our podcast ... but you may have held off listening because you didn't opt-in to the streaming services earlier this year. But now, you can listen after you watch each episode on either AMC or BBC America without us spoiling the story for you! Try a sample by listening to this mini-episode; this way you'll know what to expect while you are expecting! We won't spoil it for the newcomers, but please trust us, THIS SERIES IS WORTH EVERY BIT OF THE HYPE! We've truly enjoyed the entire first season, and it's a must-watch for fans of the books. The adaptation is positively stellar. Our only real complaint? We wish it were LONGER! OK, just like in January, we are holding an epic giveaway! Thanks to Sundance Now/Shudder, Penguin Books, and A Discovery of Witches TV, we are offering some great A Discovery of Witches swag to our followers/listeners! 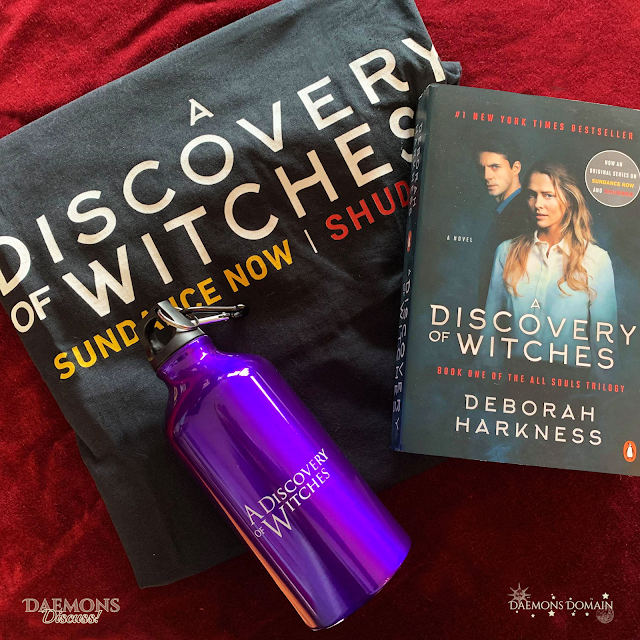 A t-shirt, the TV adaptation cover paperback and the same water bottle that was given to the cast/crew on set! What?! 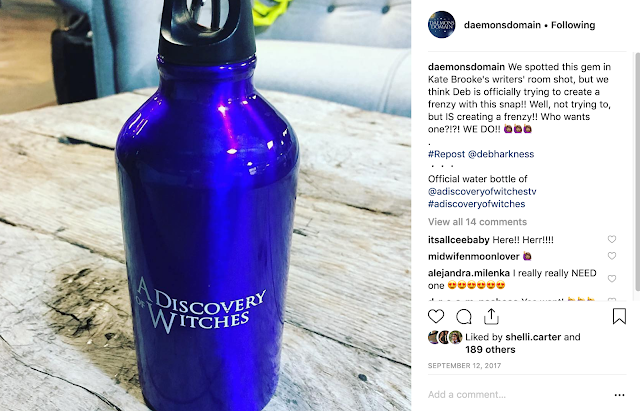 Soooooo ... that water bottle? It was the official water bottle of A Discovery of Witches TV cast and crew during the filming of Season/Series 1. That's right, we have one (that we are going to put in the mail 😱 . 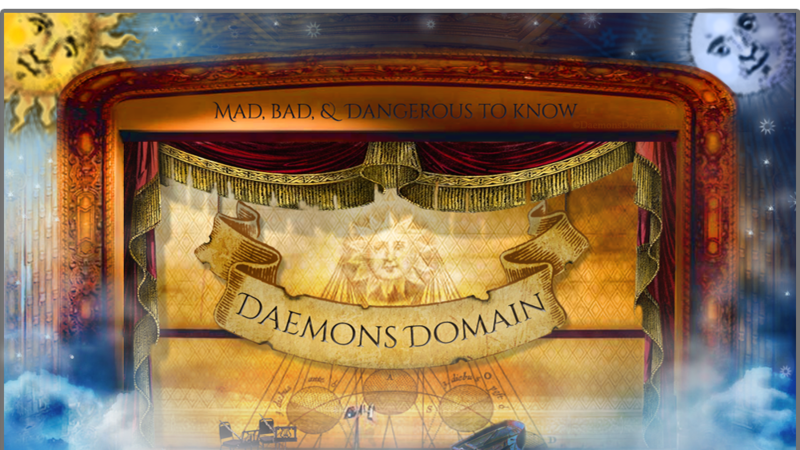 . . no wonder people think daemons are crazy) to give away to one of you! 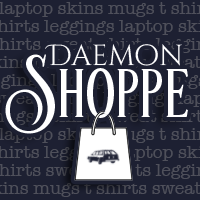 Those who are familiar with our giveaways know the drill! For those of you who aren't, we've provided several ways to enter! You'll have one mandatory entry, then we have optional social media follows, and you'll have the option to tweet about this daily for more entries -- do one, some, or all! 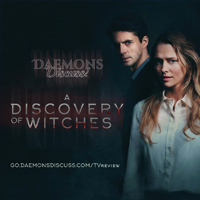 This giveaway ends the night A Discovery of Witches on US cable begins (7 April)! We are opening this one to our international audience, because we're cool like that! Make sure you read the terms/conditions at the bottom of the post, and enter below! • Contest ends the night of the 7th of April 2019 at 11:59pm. Clock is set for EST. Check for time zone differences! • "Share" entries must have the accompanying URL provided for verification. • "Follow" Social media entries (with the exception of Facebook): if the entrant follows on social media, they must be a current follower at the time of the drawing. Following to enter, then unfollowing will disqualify the entrant. Following is an option and is not mandatory. We want you to want to follow us. If you don't, no worries and no hard feelings! You are still welcomed to enter! Tweeting daily works for us! 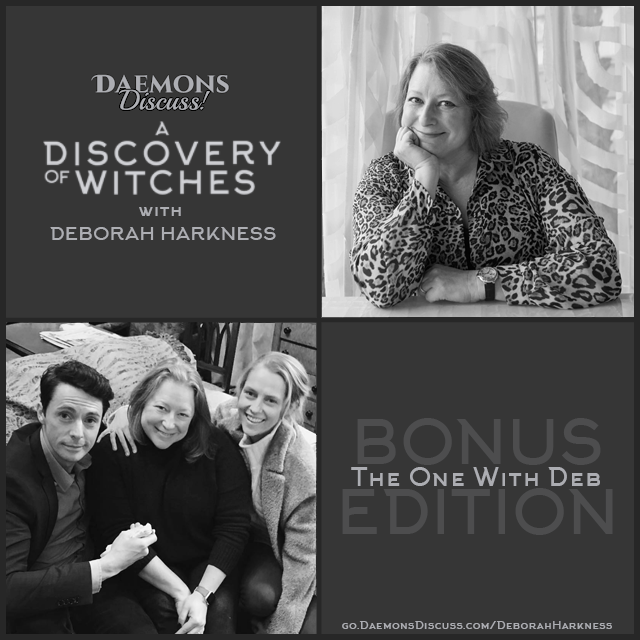 • This promotion is sponsored by Daemons Domain with the blessings of Penguin Books, AMC Networks, and A Discovery of Witches TV. It is in no way sponsored, endorsed, administered by, or associated with any of the social media venues (Facebook, Instagram, Twitter, Tumblr, & Pinterest) we use to publicize it. The aforementioned parties are hereby released of any liability. • This contest is open internationally. If a contest winner is chosen outside of the US, mail may be delayed depending on location of the recipient. Please be patient, we'll make sure it arrives safely! If you have any additional questions re: this giveaway, feel free to send us an email! 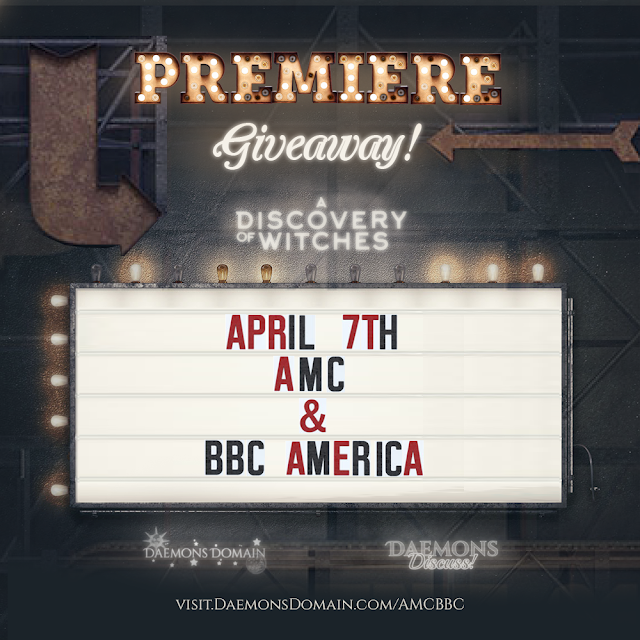 Email us at promosA4C@gmail.com - Subject: "AMC/BBC premiere giveaway"